In the market for a saloon? The Peugeot 508 Diesel Saloon would be a wise choice but how does it compare to similar models from Mazda & Toyota? 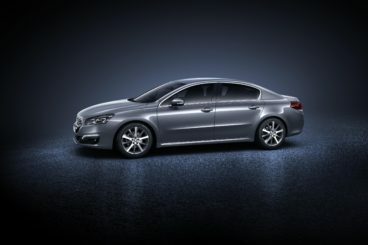 The new Peugeot 508 Diesel Saloon is handsome, comfortable, and boasts top-notch interior quality. However, with prices starting out from £25,000, it looks pricey. There is a reason for its eye-catching price tag – Peugeot want to send out a signal that this is more than your average mainstream large saloon car. It’s a bit classier than that. And while its stylish looks and excellent cabin quality attest to that, some buyers might be put off by its lack of practicality. OSV takes a closer look at what it’s all about with our 2017 Peugeot 508 Diesel Saloon review. This is a large car that manages to hide its size well. As a result, it’s a bit of an entertainer on the road. There is plenty of feel and response from its steering, and there is even a good amount of agility on offer. Moreover, body lean is well controlled in bends and the suspension feels nicely balanced. We wouldn’t go as far as saying it’s sporty, but there is a lot of fun to be had behind the wheel. Moreover, it’s comfortable. There are no petrols available, but all the diesel engines are solid choices. They’re fairly quick too, although we’d recommend sticking to the manual gearbox in order to get the best out of it. A 1.6-litre engine sits at the bottom of the range, yet despite being entry-level, its 118bhp should be enough for most buyers. The engine is smooth, refined, and can do 0-62 in a respectable 11.0 seconds. Overtaking is easy too, while running costs are pleasing. If you need more power, a 148 variant of the same engine comply. It’s significantly faster than the 118bhp version, and does 0-62 in 8.9 seconds. An even more powerful 2.0-litre 178bhp diesel engine sits at the top of the range. That’s a decent amount of power, and it’s enough to thrust the car from rest to 62mph in just 8.5 seconds. However, its standard automatic gearbox is jerky and sluggish, and its higher price and higher running costs make it hard to recommend. The 508 Diesel Saloons suspension has been set up to be firm. Despite this, the car is comfortable to sit in. You have Peugeot’s engineers to thank for that, who have done a good job of ensuring the car is able to absorb lumps and bumps, as well as the supportive seats. Insulation is good too, and the car is overall a relaxing proposition on the road. It’s not the most relaxed car in this class – but it isn’t far off. The quality of the interior is surprisingly high – surprising, because Peugeot isn’t exactly known for top-notch cabins. It’s clear that the brand is trying to rival classier competitors, and there is no doubt that the 508 Saloon is catching up. That said, while the quality of the materials and the fit and finish is high, button clutter is a bit of an issue. There are far too many buttons in here, and they spread from the centre console to the steering wheel. Next to slicker rivals, all these buttons make the Peugeot 508 look dated. How practical the car is is a matter of contention. It’s a large car, so it should be practical in theory. But once inside, you might be left wondering what Peugeot did with their dimensions. Head and legroom are good up front and in the back, as is visibility. But storage spaces are strangely limited – and weirdly placed. The door bins are hard to reach, while the cup holders do without a base. This impractical touch means that, if you try to fit in a smaller cup, it will fall right through. The glovebox is on the small size, as is the 473-litre boot. That might seem reasonable in isolation, but rivals are far bigger. Still, it benefits from a small lip and a large opening. With four trims to choose from, standard kit is good. The entry-level model gets the likes of air conditioning, 17” alloys, cruise control, daytime running lights and the brands SOS assistance system. Move up to the Allure model and you also get part-leather seats, a reversing camera, keyless entry and an electronic handbrake. The GT Line adds unique alloys, red stitching on the seats, and more colours on the dash. The GT model rounds things off with a full leather trim, bright xenon headlights, and sports suspension. The car is also safe as houses. Not only did it score 5/5 when crash tested by Euro NCAP, it also got a 97% rating for the cars active safety features. Prices for the new car start out from just under £25,000 and rise to as much as £32,900. For more information on our leasing deals, check out our page here. Running costs are good for such a large car, with the entry-level 1.6-litre 118bhp diesel engine able to return 74.3mpg. Opt for the automatic version, and you’ll see returns of around 72mpg economy. The 2.0-litre diesel engine is available in either 148 or 178bhp guise, and returns 67.3mpg and 64.2mpg. Whichever model you choose, you’ll be paying £140 a year in tax, while the 508 Diesel Saloon sits between insurance groups 25 to 32. Despite its size, the Peugeot is blessed with good handling and is even a bit of fun. Well-balanced suspension does a good job of soaking up lumps and bumps, ensuring the car is comfortable even on poorer surfaces. It’s smart, handsome and looks the business in 2017. Peugeot has priced it higher than rivals, as we’ll see below. Peugeot hasn’t used its size all that well, and the cabin doesn’t get as much storage as buyers might need. 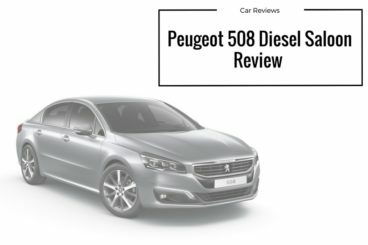 Let’s see how the car fares against its rivals in the comparison section of our 2017 Peugeot 508 Diesel Saloon review. 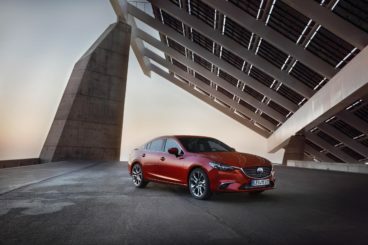 The new Mazda 6 Diesel Saloon is a debonair large car that comes with an affordable price tag, affordable running costs and Mazda’s renowned drivability. A favourite among keener drivers, the Mazda 6 boasts excellent on the road credentials. Although it’s essentially a family saloon, it’s still a lot of fun, with the brand aiming to make it as agile as their prized Mazda MX-5 Roadster. Remarkably, they’ve pulled it off. The suspension is a bit firm, but the handling is sharp, and there is lots of grip on offer. Opt for the Sport model, and you’ll also benefit from classy 19” alloys that will look great in your office car park. Mazda has also been getting a bit techie lately, and have introduced their G-Vectoring Control system for this car. This feature adjusts your output ever so slightly according to your steering output so that you can take bends more fluidly. Engine-wise, the diesels impress more than the petrols. The 2.2-litre diesel unit is our top pick. It produces 148bhp, and can do 0-62 in just over 9.0 seconds. For extra pace, the Sport model is powered by a 173bhp variant of the same engine, and covers 0-62 in less than 8.0 seconds. A 2.0-litre petrol engine is worth overlooking. It lacks oomph, takes a while to deliver all its power, and isn’t as fast as the diesel. Moreover, it comes without a turbocharge, which doesn’t help with running costs. As a result, its economy is pegged at 51.4mpg. Compare that to the 2.2-litre 148bhp diesel, which returns over 65mpg, and emits 107g/km of CO2. Inside, it’s hard to find a fault with the Mazda 6 Diesel Saloon. The cabin is small, well laid-out, roomy, and comes with a good amount of standard kit. There are subtle lashings of chrome here and there, and the stylish steering wheel and leather trim are highlights. Everything feels solidly built, too. If we’re being picky, we might argue that some buyers won’t like the way some of its switches are designed. But that’s only if we’re being picky. All models get a 7” colour screen, as well as Bluetooth, a multifunction steering wheel, and USB. Is it practical? You bet. This is a stylish family car that hasn’t forgotten what we need it most for. Space is good, there are lots of storage areas and cubbies, and visibility is just fine. That said, a sloping roofline will make things awkward in the rear. However, while headroom isn’t the best, legroom is good. The 500-litre boot, meanwhile, outdoes the Peugeot. The new Toyota Avensis Diesel Saloon looks pretty much exactly what it is; a handsome if unexciting large car that’s comfortable, safe and good value for money. It’s as wholesome as cars get. The car certainly wasn’t designed to be sporty. Instead, what you have here is a car that’s comfortable, with light steering contributing to a relaxed driving experience. That said, there really is nothing to get excited about. If that doesn’t appeal to you, it’s probably best if you cross this one off your list. Both the Peugeot and especially the Mazda 6 Saloon offer a more engaging and involving experience. There isn’t much to choose from when it comes to the engines, but both diesels are respectable choices. The smaller 1.6-litre engine is manual only, and this is a good thing as the automatic transmission feels too dated compared to rivals. It’s a bit on the sluggish side, but a 0-62 time of 11.4 seconds will be satisfactory for most buyers. The bigger 2.0-litre diesel engine is costlier, but it’s fast – 0-62 can be dispensed in just 9.5 seconds. All that extra power and pace doesn’t mean you have to suffer high running costs. The 2.0-litre diesel engine returns 62.8mpg economy, and emits just 119g/km of CO2. These numbers are only possible if you stick to the 17” wheels, though. The 1.6-litre diesel engine, meanwhile, returns as much as 67.3mpg and emits 108g/km of CO2. For a fairly big car, these numbers are impressive. 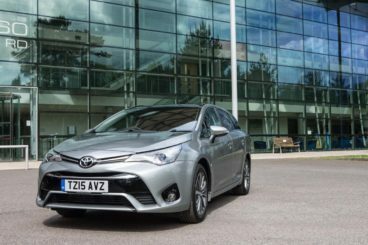 Inside, the Toyota Avensis Diesel Saloon is comfortable and quiet, and the suspension does a good job of soaking up lumps and bumps. The dash isn’t as cutting edge as some rivals, with the brand preferring to keep things traditional. This means that everything is easy to read and use, but a few harder plastics let the overall ambience down. The leather steering wheel is a highlight, while all models come with air conditioning, front electric windows and cruise control. In terms of how practical the car is, visibility is aided by large windows and a wide rear screen. However, the sheer size of the car means that parking will be tricky. It’s a shame that the entry-level model misses out on a rear view camera. Head and legroom are good, and your rear seat passengers should be comfortable enough on longer journeys. Cubbyholes here and there have got you sorted, as has a big glovebox. The boot, meanwhile, measures 509-litres, which makes it the biggest in this review. As far as large family saloons go in 2017, this one has everything you could want. Smart styling, reasonably efficient engines, fun behind the wheel and a good-sized boot all serve to make it one of the most likeable cars on the road at the moment. It’s pricier than rivals, but the Peugeot 508 Diesel Saloon has more interior quality and feels a cut above.